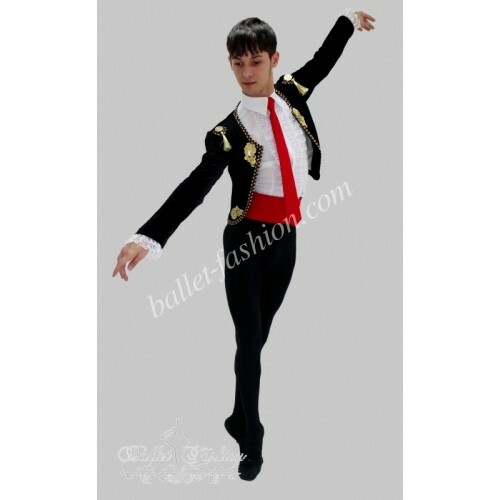 It is a professional stage costume, which is made of dense stretch velvet on a lining and has a short silhouette. 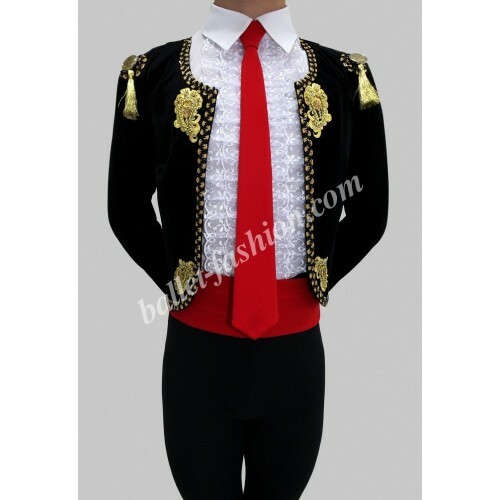 Costume has with attached white shirt doubled with guipure and red belt in the Spanish style traditions. The tunic is decorated with a dense golden braid. 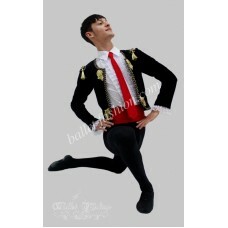 This ballet costume suits perfectly for the role "Basil" - third act, in the “Don Quixote” ballet and can be used as a concert costume too.